Bad hair day? 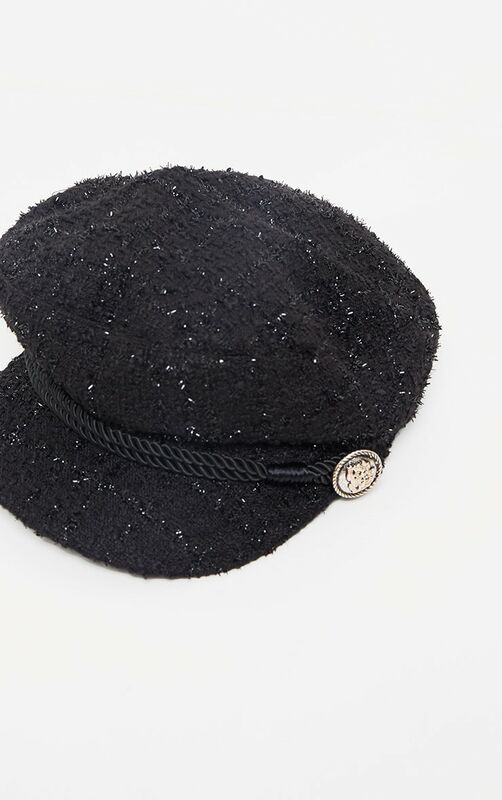 Baker hats are the perfect in trend accessory. 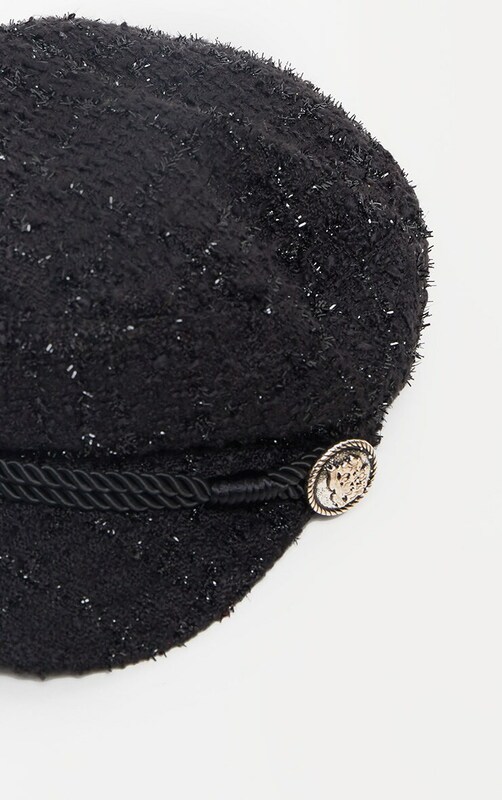 Featuring a silver coin and black boucle design.